Emerson’s baseball team plans to treat its first nine regular season games like spring training against four nonconference teams from around the country. From March 4 to March 9, Emerson will go to Florida to take on teams from around the country in doubleheaders every day with a break on March 7. Head coach Nick Vennochi sees these games as a way for the players to find their roles and come together on the field. “We use that week, as a coaching staff, to do a lot of evaluation, but I think the guys can get their feet under them during that week as well,” Vennochi said. The Lions struggled last year with an 8-21 season and are ranked eighth out of eight in this year’s New England Women’s and Men’s Athletic Conference’s coaches poll. The team made 63 errors last season. Other schools like Massachusetts Institute of Technology, Wheaton College, and Babson College make fewer mistakes, which pressures the team to play consistent defense, Vennochi said. Coach Taylor Lewis, who was drafted by the Pittsburgh Pirates in 2011 and spent 3 years with the organization, was brought in to help build consistency in the outfield, Vennochi said. 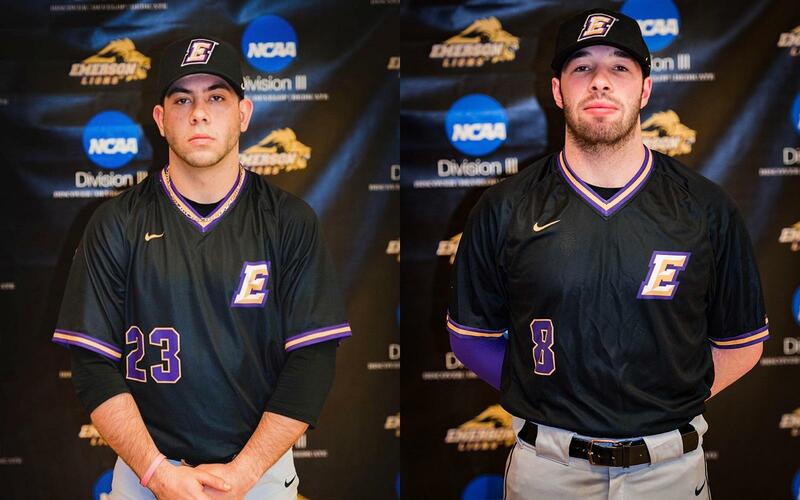 Emerson baseball ended last season with an 18-game losing streak and a 1-18 record in the conference. This left the Lions in last place in win percentage in the NEWMAC. Along with working on execution, senior captain Pablo Feldman said the team has been working hard in the gym during the offseason to prepare for this year. This year’s older, better pitching staff has been focusing on the pitching process to get better results on the field, Feldman said. The team added eight freshmen this season to a squad that features 14 upperclassmen. Henry Schwartz, senior pitcher and captain, works with the pitchers and spent time with the freshmen during the preseason. Schwartz made nine appearances and seven starts last year, and pitched 38.1 innings. He struck out 17 batters and had an ERA of 6.57. Last year four seniors—including shortstop Mitch Moorman—graduated and left gaps in the team for freshmen to fill. Feldman said he expects freshmen to fill some pitching slots, as he’s been impressed by their work. “There’s a few pitchers and a few position players who are going to slide right in,” Feldman said. Emerson faces a challenge in its first conference game against Springfield College on March 24, but Vinnochi said he knows his team is ready to play. “I say this to every recruit, ‘None of these guys are not giving us their number one, none of these guys are going to play down to us. We have to meet them up there,’” Vennochi said.